Locked out of your own vehicle because you’ve lost your car key? Don’t worry, we’ve all been there before and understand that it’s quite a frustrating situation to be in. While you try your best to gain access to your car on your own. It can be quite time-consuming unless you smash the driver’s windows and don’t mind paying for the replacement later. Even when you manage to get into your car again, how will you get it started? Unless you know how to jump start it, like in the movies, then don’t bother. To be quite frank, it will actually be better to just get a new car key replacement. Avoid all the crazy scenarios that you will be thinking of to gain full control of your vehicle again. Leave your crazy action-driven creative imagination out of this one this time. Make everything simple and just have a professional locksmith craft you a new car key in a short period of time. What Can A Locksmith Do For Your Situation? When it comes to car key, it isn’t as easy to make a new replica as it was. If you think that it’s as easy as molding out the imprint of your car key, you might be disappointed. Ever since car companies started taking more and more rapid actions to implement security to their vehicles, your car and many others have acquired more complications such as implementing programmed chips on to the key to even allow the car to start its engine. Locksmiths are well trained for these types of situation, however, unlike back in the days where they can craft a key and let you get in the car right away, they now have to worry about a programmed chip that has to be installed to get your car started. Without this chip, you can only unlock the doors and trunk, which defeats the whole purpose of having a car. You want to drive your car, not chill in it. A great Locksmith Atlanta will not only craft you the right key but also reinstall the chip onto your key. 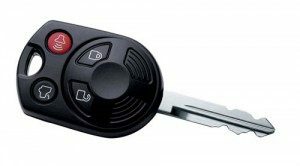 How Does The Whole Process Of A New Car Key Works? The locksmith first starts off by understanding what type of car and car model you have. 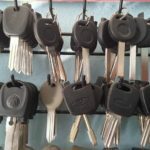 Car companies designed each car model differently with each one having a different key blank used to craft the key specifically for your car. Once the locksmith has the information on your car, he or she will look up from the thousands of car key blanks that they have available and see if it fits your car. From here they are able to craft the car key using a profiling machine that will shape the key out to allow you to open your car’s doors and trunk, but cannot ignite the engine due to the installation of an ignition immobilizer that is installed in modern cars that require a chip. Are you stuck then? Is that all a locksmith can do for you? The answer is that there will be some ordinary locksmith (very few) that will not have the necessary machine to program the chip onto your car key. Most, however, do. Make sure you do your research to find the right locksmith Atlanta for you! Most, however, do have the tools and machine to do so. Just Making sure you do your research to find the right locksmith Atlanta for you! Most locksmiths including us will provide you with a device and machine that allows us to implement the chip needed to start your car’s engine. Once we will get the car key crafted and the chip installed, you’re set and ready to go! Don’t waste your time call Locksmith Atlanta For FAST service and low rates for professional new car key! Crafting a new car key gets harder every day, but as professional locksmiths, we are always keeping up with the challenges for all locking, keys, and security needs. Avoid the hassle and frustration and hire a locksmith to get the job done right! Don’t get locked out ever again.